Home » Blog » What Is A Letter Of Demand? Do you have an account that is severely overdue and now you need to send a Letter Of Demand as a final step before the registering the debt with the courts? 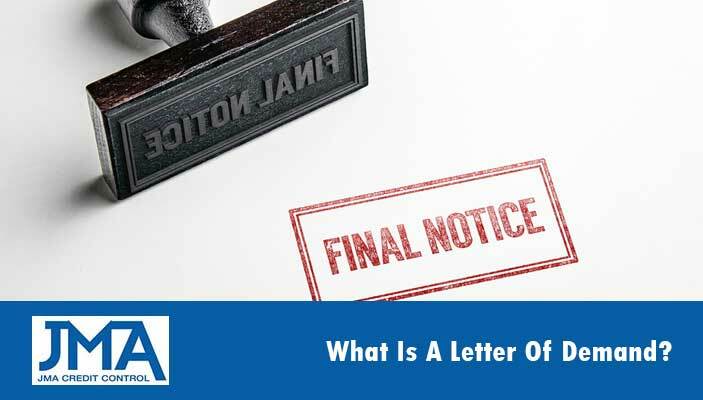 A Letter Of Demand is the first formal step in the legal process to recover an unpaid debt and is generally a last resort before making a claim for your debt with the courts. In fact it is required that you send at least one Letter Of Demand to a debtor before lodging your claim with the courts. Completing this step properly (as we’ll explain below) also helps to show the judge that you tried all avenues to recover the funds before resorting to court action. As taking legal action to recover an outstanding debt is quite a serious step that may involve significant time and financial costs, it’s important that you try all other avenues first. This includes sending a sequence of overdue and reminder letters and emails. Also it’s important to note that you can use a Letter Of Demand for both personal and business debts. If these steps don’t encourage payment by the debtor then that is when a Letter Of Demand should be used. It shows your customer a clear intention that if the debt is not paid by the next due date that you will proceeding with legal action. It allows the debtor a final opportunity to pay the outstanding debt. It is a softer step than direct court action so it offers a final chance to maintain goodwill with the customer and potentially keep their business if they do eventually pay off their account. It can be used as evidence in court to show the judge you tried multiple times to settle the matter out of court. So as you can see it’s very beneficial for all small and medium sized business to be familiar and comfortable with the use of Letters of Demand in their accounts receivables process. It should be noted that getting a legal professional, such as a solicitor to draft y9ur letter of demand is highly recommended. This ensures it is well drafted, does not break and laws and having it sent on their legal letterhead will be much more persuasive when it comes to getting paid, before taking them to court. Copies of relevant document such as contracts, invoices, work orders, email or any other written proof regarding the debt. A new due date when the debt must be paid to avoid further legal action. This should be 21 days from the date of the Letter of Demand. The limitation period for your specific state. There is a time limit on how old a debt is before it becomes “Statute Barred” and the debtor is no longer required to pay. Find out more about Statute Bared and the Limitations Period in your jurisdiction. The maximum and minimum amounts able to be claimed through the small claims court. If you have a debt that is 60 days or more overdue and would like help drafting a Letter of Demand it is ideal to seek out a debt collection agency that employ solicitors who specialise in this area of law. Generally they are much cheaper than going directly to a law firm and can also offer unbiased professional advice, making sure you have exhausted all other available options before going to court.